Compaso Flamenco’s works give space to creativity, imagination and reality. Elaborated concepts combine singing, music, dance and other art forms. Flamenco is the core in all activities and is expressed within traditional and innovative frameworks. The company was founded in 2010 by Josefine Chiacchiero and produces performances for many settings. The company is based in Stockholm, Sweden. Josefine Chiacchiero, a graduate High School teacher in dance and languages, today active as a dancer, coreographer, teacher, producer, costume designer, film editor, seamstress and artistic director. In few words: self producing with a great amount of collaborations with other artists. She is the creator and director of Compaso Flamenco and has a wide background as a producing and touring artist. As a dancer she expresses flamenco, contemporary dance, jazz, streetdance, tap-dance and she studied at DOCH University of dance and circus in Stockholm. She also studied dance, percussion and singing with a number of flamenco artists in Spain and other countries, and continuously does through visiting festivals and academies. Josefine Chiacchiero, recognized by her strong energy, conceptual expression within dance and music, is a committed artist investigating new avenues. In her earlier activities she was costume designing for shows, toured as an artist for the Swedish Army, played with a Balkanpunkband, studied or worked in France, Italy, South Africa, Spain, Morocco and Latin America and volunteered in Lebanon. She taught french, spanish, english and mental health methods and guided in venues of Stockholm such as the City Hall and the Vasa museum. Her final thesis at Stockholm University was funded by swedish help-aid organization SIDA and researched the ”Conditions of dance in Morocco”. Within flamenco she was for several years the chairman and webmaster of Sacai Flamenco association and developed a collaboration with Instituto Cervantes and Musikvalvet. As a teacher she collaborated with visual artists in the creation and development of ”Fredagsdans” at Kulturhuset Stockholm and methods on ”Synesthesia” for preschool teachers. For some years she ran the creative space ”Mar Studios” together with musicians, which became a great venue for creative work and rehearsals. Her productions have been featured in a variety of contexts and countries. Josefine is at present studying a master in Contemporary Performative Arts at the Academy of Music & Drama in Gothenburg. 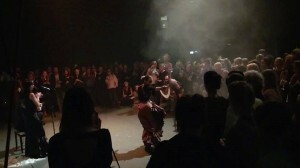 Performing at 50th anniversary of Dance & Circus University of Stockholm 2013, with Safoura Safavi & Per Lenner. 2003- 2010 High-school teacher languages and dance. 2015 Nominated by SMOT for ”Årets scenkonst” Jönköpingsgalan. 2013 P4 med Pär Fontander, about flamenco and Arcángel at Södra Teatern Stockholm. 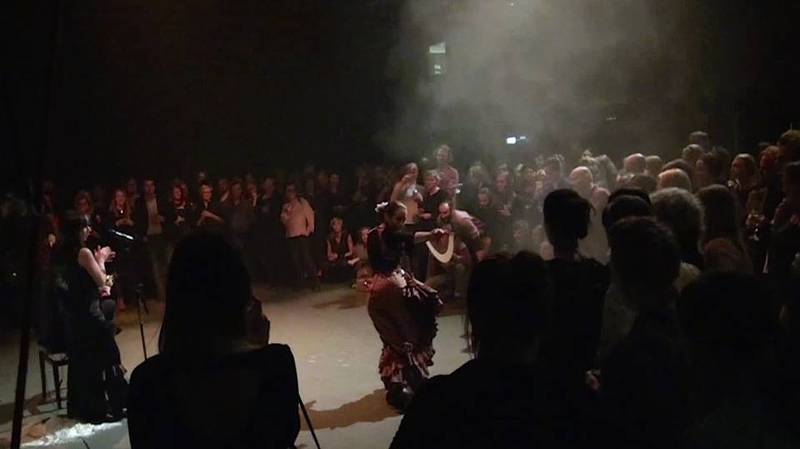 2015 Konstnärsnämnden – Resestipendium London ”Tronco Flamenco”. 2014 Stockholms Stad – Produktionsstöd ”Tronco Flamenco”. 2014 Konstnärsnämnden – Resestipendium vidareutbildning under Flamencofestivalen i Jerez. 2013 Kulturrådet – Scenkonststöd produktionen ”Facetas de Flamenco”. 2012 Stockholms läns landsting – Scenkonststöd produktionen ”Facetas de Flamenco”. 2012 Stockholms Stad – Scenkonststöd produktionen ”Facetas de Flamenco”. 2010 Comenius – stipendiat språkassistent i Spanien. 2009 SIDA – Mfs-stipendium, studie om dans i Marrakech/Marocko. 2004 Italienska Kulturinstitutets stipendium, språkstudier i Salerno Italien.